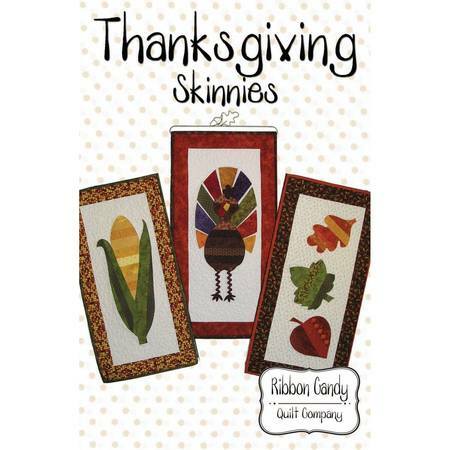 The Thanksgiving Skinnies pattern by Ribbon Candy Quilt Company are fast and easy projects for quilters of all levels! Grab your scrap basket and you're ready to create a fun holiday wall quilt or table runner for you or for a friend! All three full size templates are ready for you to begin. You can't make just one! Finished size: 14" x 28".